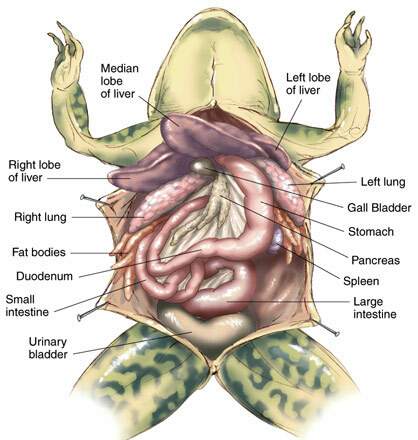 Do you enjoy studying the form and structure of animal bodies? 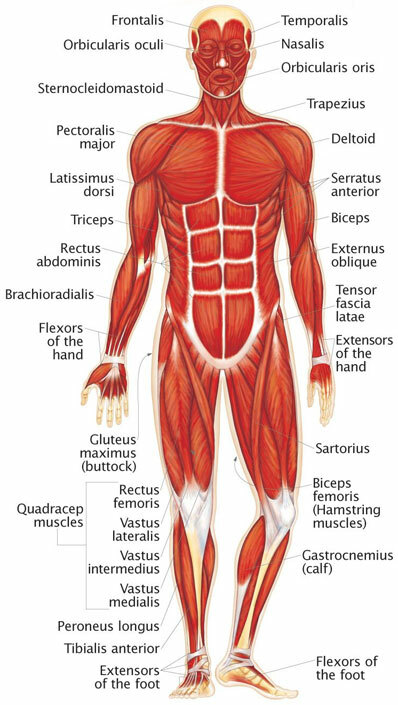 Are you interested in performing systematic observations and dissections of muscles, tissues, and organs? Where you fascinated with the make up of the human body when you took CHA 101/EXB 106? If so, a career as an Anatomist may be a great fit! According to schoolsintheusa.com, an Anatomist is someone who specializes in the body structure of organisms, and has played an important role in the research and discovery of organisms and their function for centuries. A career as an Anatomist can be very rewarding, because it allows you to explore what is normally hidden from view and discover how structure relates to function. There are a variety of different systems Anatomists can specialize in depending on their interests. Some examples of these include the endocrine system, lymphatic system, cardiovascular system, and skeletal system. Anatomists also specialize in different species other than the human body depending on their field of work. Because the structures of most mammalian bodies have many similarities, Anatomists will typically draw inferences from existing knowledge to discover new purposes for the existing structure of species and their organs. What type of education do Anatomists have? An Anatomist will typically have a Bachelor’s degree in Biology, Chemistry, or any related field to biological, physical, or behavioral science. A masters degree in Anatomy is required to then work in a laboratory or for a private company. Most Anatomists also go on to earn a Doctoral degree to get a research or teaching position at a university or medical school. There are many different areas Anatomists can work. Most Anatomists either teach or do research in universities or medical centers where they help train scientists or various health care workers such as physicians, nurses, dentists, and pharmacists. 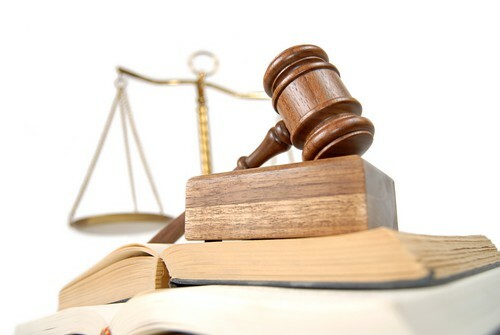 Others may be employed by private companies, governmental agencies, or scientific publishing firms. Anatomists therefore spend most of their time in laboratories or class rooms, and must be flexible with working alone or as part of a team. Salary depends on the education of the Anatomist, and according to the U.S Bureau of Labor Statistics the average pay is $75,160, and there is an expected 13% increase in employment. Hopefully this spotlight on becoming an Anatomist has peaked your interest or helped you identify some of your career goals. Good luck! Spring quarter is off in full swing and it is time to start looking ahead and thinking about summer plans. Many of you may be excited to get some rest and relaxation, or to just get out of Davis for an adventure. Although these all sound very enticing, remember that Summer Sessions is a great option. Whether you are looking to get ahead, catch up on units, or take a challenging major course, the advantages of enrolling in Summer Sessions are plentiful. To peak your interest in staying in Davis to take classes this summer, I will share my experience with Summer Sessions in the following paragraphs. It was Spring quarter during my second year at Davis, and I had just taken Physics 7B. Physics proved to be challenging to me compared to other courses, so I began thinking about taking it as soon after Physics 7B as I could. After sitting down and mapping out my third and fourth year classes, I realized taking Physics would not only clear up my schedule but help me concentrate on other challenging courses that I was planning to take during fall quarter of my third year, like NPB 101 and BIS 101. My next decision was whether or not to take Session 1 or Session 2. I wanted to take Session 1 because I felt it would be good to take Physics 7C right after having taken 7B, with only a couple of weeks separating the two rather than a couple months. However I felt pretty drained from Spring quarter and I ultimately decided that Session 2 would be best because it would give my mind a break and I could come back ready to learn in the beginning of August. I also realized that many of my friends from home that were going to semester schools would be going back to school around August too, so I would not feel like I was ending my summer early. Summer session 2 was fast-paced to say the least. Although I was only taking Physics 7C and a GE course, I had to constantly study in order to keep up with the work. However, I found it much easier to do so when I only had two classes to concentrate on because the material was constantly being reinforced. This, along with the fact that I was able to go to my professor’s office hours because I had a more open schedule, is why I was able to have a remarkably better learning outcome in Physics 7C than I had with Physics 7B when I took it during the regular quarter. I was also really happy to finish classes in 6 weeks rather than 10 weeks! 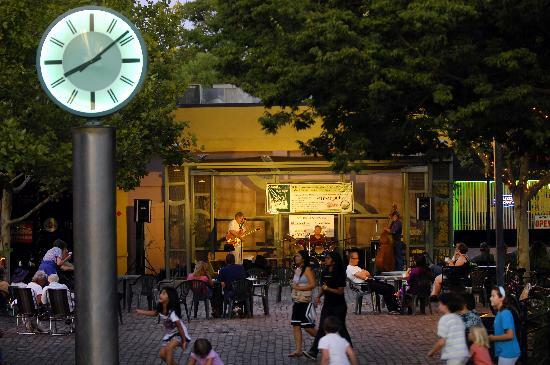 Have more time to explore the city of Davis! When registering for Summer Session classes, be sure to keep a balanced schedule during each session. This means you should avoid taking two science classes together during one session due to the time constraints and rigor of of science courses. There has been an important update to financial aid for Summer Session. It will now be awarded based on the earliest date that you are registered or wait-listed in at least 6 units total over the whole summer. For example, if you only wanted to enroll in one session, you would need a minimum of 6 units. But, if you wanted to take both sessions, you would need a minimum of 6 units total for both summer sessions. Also, be on the look out for Summer Sessions pass times coming out April 27th! Have a great Summer Session and good luck! Congratulations on making it this far! This is such an exciting time- you are getting to choose where you will spend the next four years of your life! For me, the decision was actually very clear and deep down I knew I would end up choosing UC Davis, but I am such an indecisive person that it took a lot of going back and forth for me to actually commit to going to UC Davis, (I think I signed my Intent to Register on the very last day). I initially thought of UC Davis as “the school off I-80 that is on the way to Tahoe” but after my first visit I began to associate it as an exciting school with a gorgeous campus, big egg heads, and cute and fun downtown. I began to form this opinion of UC Davis during a school field trip in 7th grade on my first college tour. I have a clear picture of walking along the arboretum, sitting on the quad, and walking through the very exciting and busy Memorial Union on that sunny Spring day. I remember having a great time on the trip and really liking that atmosphere. I knew there were many wonderful things about UC Davis, mainly that it was a great science school, and so I began to start picturing myself as a UC Davis student. When I found out I was accepted, I was very excited because I knew a few people who had gone to school at UC Davis and I always heard positive things from them. 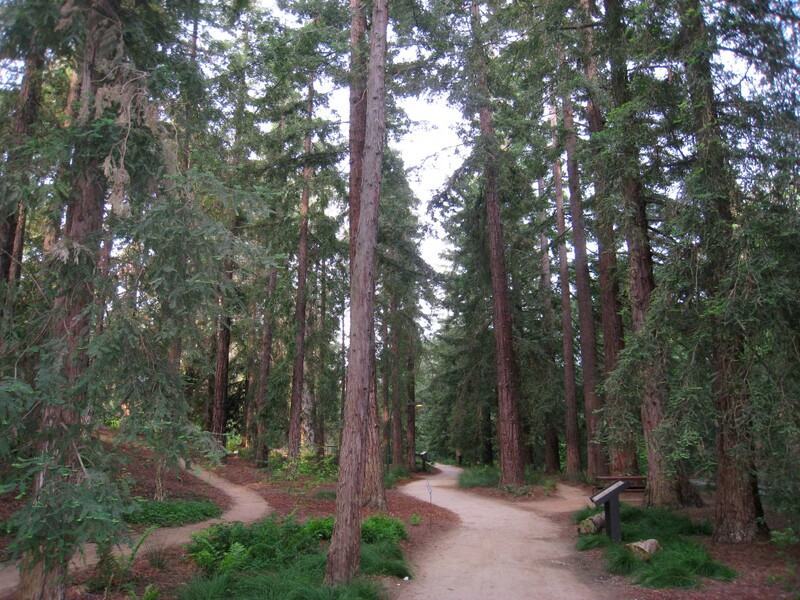 My parents had also told me great things about UC Davis, saying that it was one of the last “true college towns.” When they told me this I had no idea what that meant, but after spending four years living in Davis and getting to compare it to other schools, I now know that this is true. Taking a stroll in downtown Davis will allow you to experience the sense of community centered around the school and the excitement about events happening in both the school and the town. Most people that live in Davis seem to be affiliated with the University in some way and are always happy to speak to students and offer advice, which for me was a very positive factor because I really wanted to go to a school with a welcoming and hospitable environment. Good luck and I hope you are all future Aggies! Self-evaluating previous work is essential for improvement. Although the material from the first midterm may be different than what will be tested on the second midterm, reviewing your old midterm for errors can be very helpful. Under the pressure of taking an exam, it is common to make easily avoidable mistakes. Looking back on your work from the previous midterm can help you become aware of these mistakes and avoid making them a second time. It is also important to think about what worked and what didn’t when you were studying for your midterm. Did you study individually or in a group? Did you study at home or on campus? Did you go to office hours? These are important questions to ask yourself, because it will help you determine what works best for you. If something you did wasn’t helpful, try to change it. Taking the time to self-evaluate your work and study habits is always worth it! There are so many resources on campus designed to help you succeed academically. For example, you can go to your professor or TA’s office hours, academic tutors in the SASC, or residence hall tutoring. Using any of these resources can be the difference between getting a B and getting an A. If you didn’t try out these resources when studying for you first midterm, you might want to consider trying them for your second midterm, or at least dropping by to see what they have to offer. I remember being disappointed by my first Chem 118A midterm score, so I decided to attend the weekly workshops at the SASC, and was able to improve my second midterm score. We all know practice makes perfect, and what better way to practice than with someone who already knows the material? The SASC also offers Study Skill Workshops through out the quarter. These workshops cover a variety of topics, so you can pick and choose which ones you would like to attend based on what you think you need to improve on. There are sessions covering a variety of topics, including time management series, success strategies, and core study skills. Always keep your goals in mind and remember what you are working towards. Doing this will help you stay motivated to keep up with your school work and do your best on your second midterms. I have always found it helpful to reflect on my goals and my future plans, because it keeps me motivated to do well and finish the quarter strong. This time of the quarter is always stressful because the quarter is winding down and finals are just around the corner, so it is more important than ever to stay healthy. Getting enough sleep, eating enough fruits and vegetables, and remembering to exercise can go a long way. Although you might feel like you need to study all day, remember to balance your life and keep your body healthy. I always try to do this by going to the ARC to study. I like to use the quiet study rooms during the day, and when I need a study break I’m able to go exercise. I also remember to bring healthy snacks so I don’t resort to eating unhealthy. This keeps me feeling healthy and awake, so my studies end up being more productive. When it comes to focusing on health, the Student Health and Counseling Services center at North Hall is a great place to go. They offer programs like “What is Wellness?” which describes the seven dimensions of wellness (physical, emotional, social, environmental, intellectual, spiritual, and occupational) and how we can work to balance these dimensions in our lives to stay healthy. Midterms can be really stressful, but remember to stay focused, positive, and healthy. Good luck! As students in the College of Biological Sciences, most of our classes are both fascinating and challenging. To help us succeed in these classes, our Professors and TA’s hold weekly Office Hours. The Professor or TA will usually write the location, date, and time of these hours on the board on the first day of class, and they are also posted in the syllabus for the class found on SmartSite. You may be thinking, why would I want to spend extra time sitting in class? Isn’t the Professor or TA going to go over the same things we already talked about? I know these were some of the questions I had during my first year, when I was trying to decide if going to Office Hours would be beneficial. I remember thinking that I could just answer the questions myself if I read the textbook of asked some of my classmates. I thought I would be sitting in office hours waiting to get my question answered. However, after my first visit to my Math 17A Professor’s office hours, I realized I was completely wrong! There were so many benefits to going to office hours that I had never even thought of. I felt like I discovered the secret to succeeding in my class. I came in to Office Hours unsure of what to expect. After a few minutes I was SO glad I came. The professor went over the material we covered in class, but this time much more clearly. He went over the material slower and used more examples to help us gain a deeper knowledge of the concepts. He even answered questions on the graded homework assignments! I realized I would have been struggling with the problems on my own, and by going to Office Hours, I learned how to get to the answer the correct way which was using the steps my professor wanted us to use on exams. I realized that going to office hours was actually saving me time, not wasting it. Professors understand that as students we have a lot on our plates, and they will usually be glad that students visit them in office hours, which means they reward the students who come. This means they may give tips on exam topics, heads-up on an upcoming pop quiz, or explain the correct way to do an assignment to get full credit. Office hours can also be a great way to get your studying done. We know we have to study for our classes, so why not do it while we have the Professor available to answer our questions? This makes learning more efficient and we are able to retain the information and be certain it is correct. Retaining the information allows us to expand upon our knowledge and learn more about the topics, and it aids us in becoming comfortable answering questions that appear on midterms or finals. It is important to note that our Professors and TA’s want us to succeed in class, this is why they are offering office hours! It would be a waste to not take advantage of one-on-one time with instructors in class, because who better to learn from than the experts themselves? Always thank your Professor or TA after office hours!